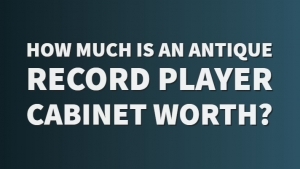 A record player can be a complex piece of equipment to those who have no idea what its parts do. There are many different parts of a record player which includes the changer, clamp, cover, and more. 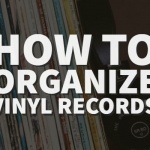 If you’ve ever wanted to know about certain parts of a record player, then you’re in for a real treat. 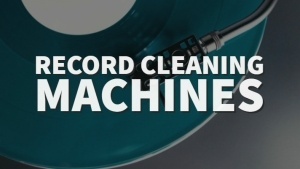 A record changer is just what you’d expect it to be. It is a device that allows multiple records to played one after the other without user intervention. These were first brought to the market in the 1920’s and were common up to the 1980’s. Eric Waterworth invented it in 1925 and made for the Salonola phonograph. Unfortunately, none of his three prototypes ever took off. However, the first record changer that was successful was the Automatic Orthophonic model made by the Victor Talking Machine Company. 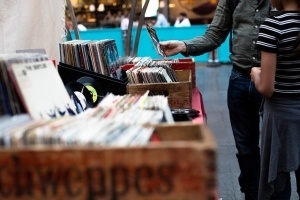 Throughout the years, there were many record changers to hit the market, some more successful than others. The way they worked was sometimes complicated. 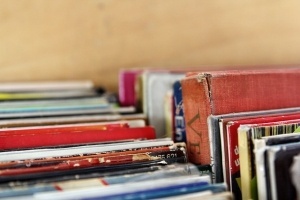 It required a stack of records to be placed on an extended central spindle that was supported by an arm. Some units could detect the size of each record, and the tonearm would then be positioned accordingly. Today, you can find this piece of technology within stereos that have multiple CD slots in the changer. A clamp is part of the process for optimizing contact between the record and mat. Some clamp designs have an active collet mechanism that keeps the clamp attached to the spindle. Turning a knob at the top allows for tightening it to lock it into place. There are two kinds of clamp methods; vacuum clamping and regular clamping. Vacuum clamping is when a record is coupled tightly to the platter by a constant low-pressure vacuum maintained under the LP. This method gives a tight bond between the LP and the mat. However, the conventional clamp can only apply force to the label area. Some manufacturers designed their products to be used without the clamp because they don’t think they are necessary or believe they can limit performance. 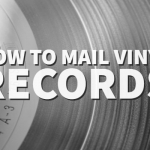 A record weight is an effective tool that helps optimize the contact between a record and the mat. One would think that a heavier weight would be the better option. Sure, this would be true if the turntable bearing could take the added weight and there is enough torque in the motor not to be affected by the added weight. If the turntable has suspension, it may need to be re-tuned because of that added weight. 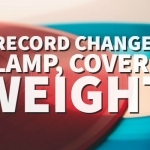 Because of this issue, record weights can’t be considered a universal option. However, there’s a more advanced version of these weights, and it’s the LP from Stillpoints. It’s different because it implements internal elements that absorb the vibrations. These are quite heavy as they are made from stainless steel, and they weight 1lb, 6oz. Record player covers are meant to be strong and durable, but what are they used for? They are used to protect your turntable from damage and dust. Most of them are made from sturdy plexiglass, but others can be made from simple plastic. There are some that are shaped to fit over the turntable and the needle while others are just large boxes that go over the whole unit. These are great to have if you want to preserve the longevity of your turntable and keep it safe from the elements. On most of the covers, you will find holes that allow the cords to go through them, so you don’t have to squish the wires under the box. And there you have it. That is everything you need to know about clamps, weights, covers, and changers. These are nice to know if you have just acquired a record player and want to learn how they work and what specific pieces are for. 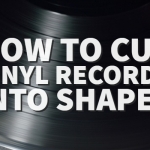 Next Post How To Cut Vinyl Records Into Shapes and Create Clocks Etc.